Spear Thistle Stamps Compared - new digital printing and the original. We have now had the opportunity to examine the new printing of the Spear Thistle Post and Go stamp released at the ASPS Scottish Congress at Perth. 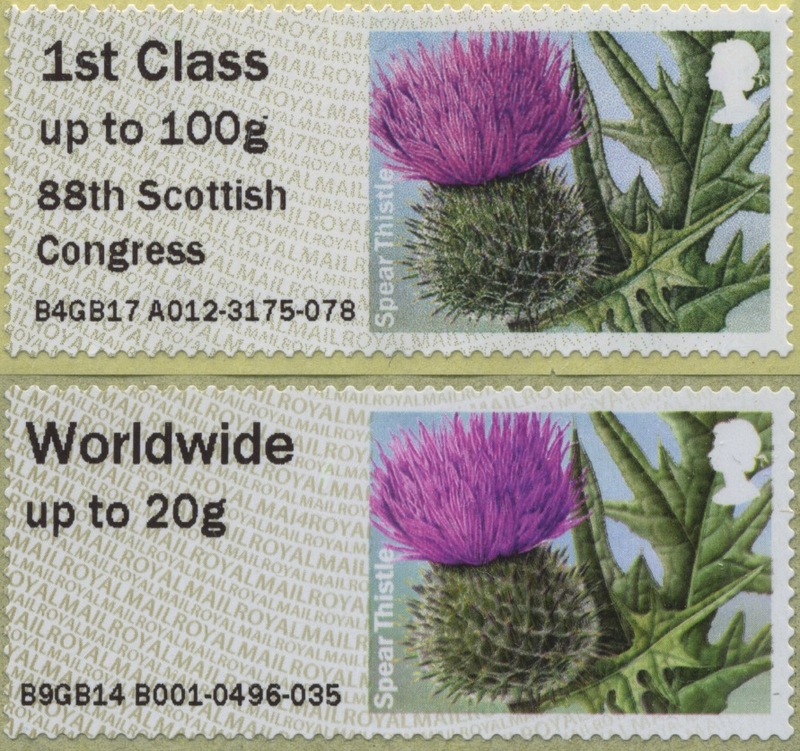 As expected this is digitally printed, and is quite different to the original Symbolic Flowers stamps issued 17 September 2014. As with other recent digital printings, the surface is glossy, especially the picture area. There are no obvious phosphor bands - but I'll check them again when it is dark! Most obviously - apart from the 88th Scottish Congress inscription, the new stamps have the year code MA17, whilst the originals are coded MA14. 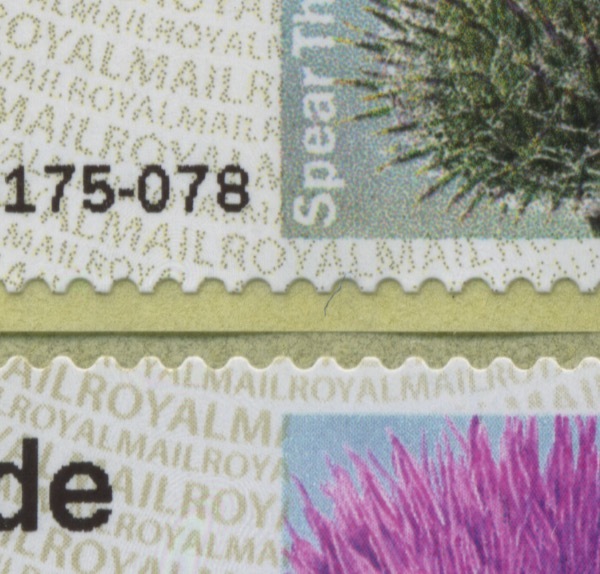 In these pictures the upper stamp is the new digital one.